For most businesses, their websites are the lifeblood of their inbound marketing efforts and sales enablement tactics. A website that is attractive, informative, and usable pulls in visitors to learn more about your product or service, then keeps them coming back, even after converting them into customers. Whether a business is revamping its entire site or just tweaking its homepage, the effort behind a redesign should incorporate inbound goals and principles. 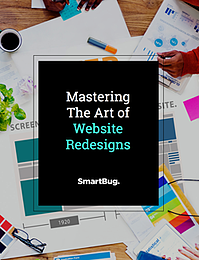 However, once your website redesign is complete, you simply can’t congratulate yourself and assume everything with your online presence is now perfect. Tracking the effectiveness of your site is imperative to see what’s working and what isn’t. Real-world data identifies room for improvement, defines business goals, measures key performance indicators (KPIs), and helps determine if a company’s success is increasing, decreasing, or stagnating. Visitors: Both visitors and unique visitors should be tracked following a website redesign, not only to determine if people are appreciating and responding to the new site, but also to ensure they are finding it via organic search. Inevitably, URLs change with the redesign, which can affect search rank and, more importantly, traffic. If your visitor numbers take a noticeable dip right away, it might indicate that something is off with the new site and requires immediate attention. Visitors-to-leads (VTL): An increase in visitors following a redesign is great but, ultimately, means nothing if your spiffy new site isn’t converting those visitors into leads. The VTL is a good metric to determine how effective the user experience is—if you revamped your website with the hope of improving UX, this number (leads/visitors) should get a boost within the first month. Number of qualified leads (MQLs and SQLs): The leads are rolling in fast and furious following your redesign, but are they the right kind of leads who become qualified and then customers? If leads aren’t taking that next step, the keywords on your new website might be off (and, thus, attracting unintended visitors), or conversion paths just aren’t working—the site and its content simply isn’t resonating with your personas. 404 errors: Encountering the dreaded “Not Found” error means too many pages from the old website weren’t accounted for during the redesign. Find the 404s and create 301 redirects so that visitors aren’t running into dead pages. Time on site: If time on site has decreased, it might mean visitors are failing to engage. This could be caused by bad UX, slow load times, poor content, or confusing design. Bounce rate: Similar to time on site, if visitors are finding your redesigned masterpiece but then click away, something is amiss. In addition to these metrics, businesses should set up heat mapping a week after their website redesign goes lives. This delay is recommended in order to gauge the heat map after the UAT phase of the new site—by this time, visitors aren’t purposely clicking on links and buttons just for testing; you will get actual user responses by waiting a week. Designers only know so much, and with heat mapping, you can see if people are clicking in places you didn’t expect, as well as determine where much of their attention is going and possibly add CTAs to those spots. Furthermore, you can ascertain the effectiveness of UX elements and decide which ones should be clarified. Align your efforts to company goals and department objectives. Personalize the user experience—use Smart Content to intelligently appeal to your customer’s unique needs. Target high-quality design and content to the right audience. Gather insight from your customers by conducting surveys and soliciting user feedback. Find out what’s important to them and if there is anything you might be missing. Establish benchmarks. Collect information to determine where you are now, and then set further goals that build upon the baselines you have identified. After six weeks, you should feel settled in with your redesign, but that doesn’t mean you can be complacent. Test and iterate, test and iterate, then test and iterate some more. Fine-tuning and improvement are continual goals for your website; static pages over time will get you nowhere. Someone should be looking at the data collected from your ongoing metrics and compare it with previous results. Doing this at least monthly can keep your redesign fresh—and impactful—long after launch. How much do you currently rely on metrics to track the effectiveness of your company’s website? 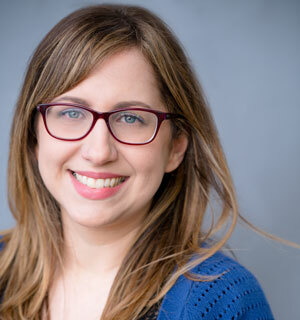 Amanda Singleton is a Senior Designer at SmartBug Media. With over 8+ years experience in the field, she has an innate sense for clean design and is a strong advocate for the user. Read more articles by Amanda Singleton.